Hey y'all and Happy Thursday! 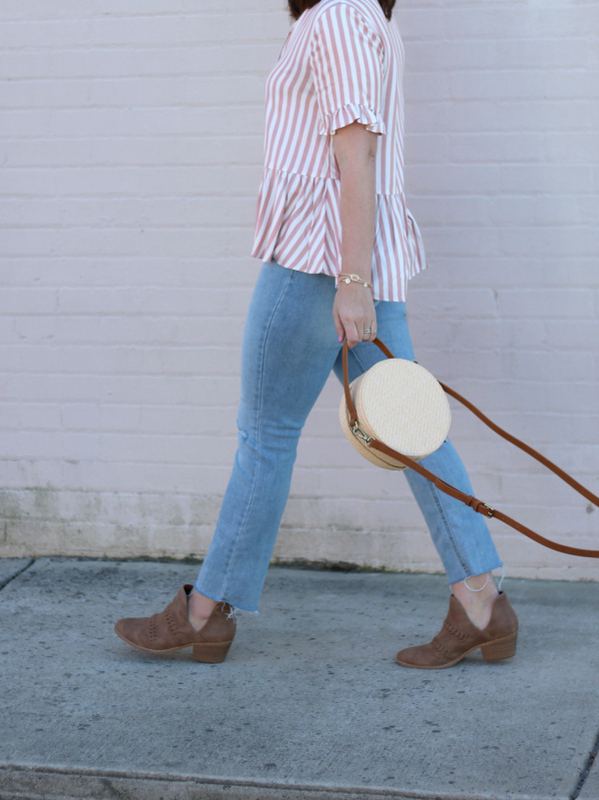 Today, I'm sharing another transitional look that will take you from now to spring. 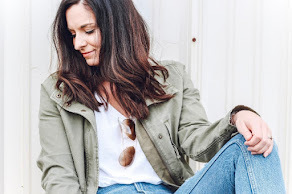 This outfit would would also be great layered with a utility jacket or cozy neutral colored cardigan layered on top for the cooler early spring days! I have always been a fan of stripes. 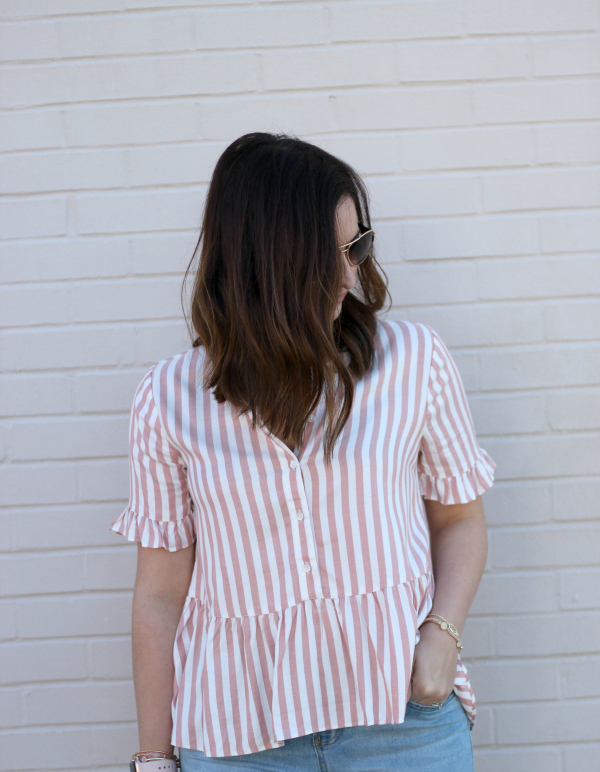 My eye is always drawn to stripes so when I saw these pretty pink stripes and peplum, I knew I had to have this top. 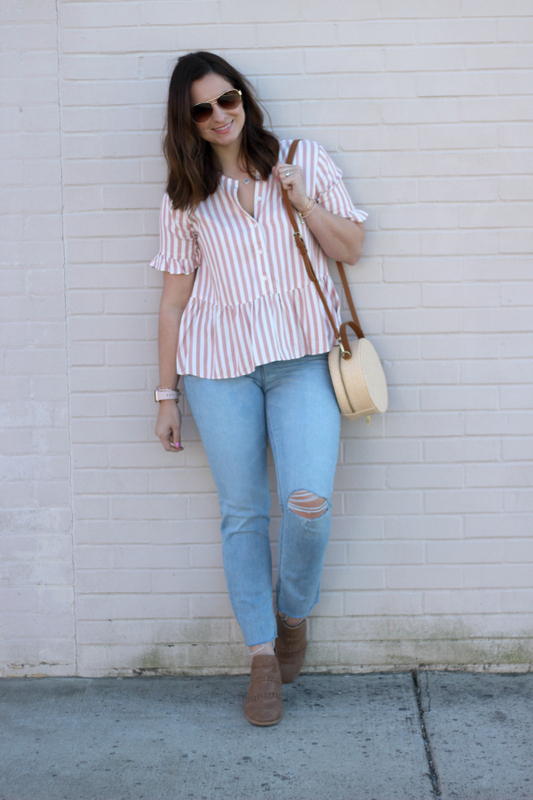 It has been going in and out of stock so if you can't find your size, I also found this really adorable top that's pretty similar and so perfect for the warm days ahead! The jeans I'm wearing are my new favorite style. They are the Power Jean from Old Navy, which is a flattering straight leg jean with just the right amount of stretch. 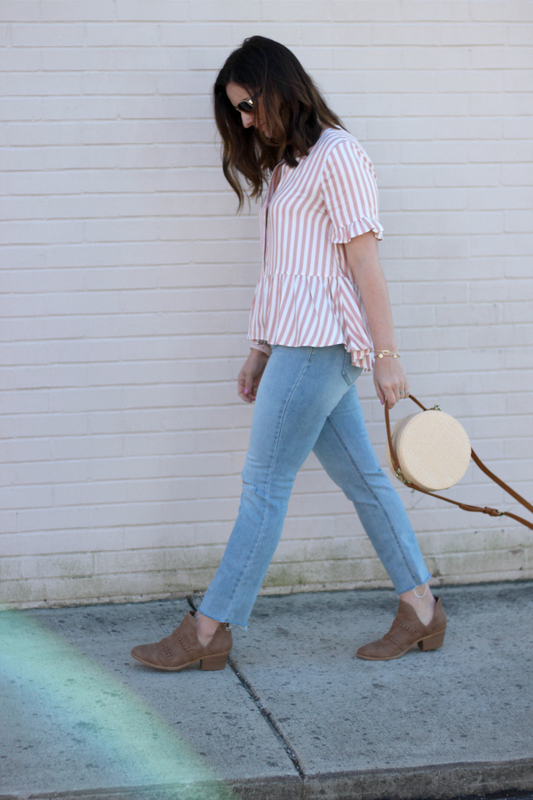 I've shared these jeans in a couple of different blog posts recently and the more I wear them, the more I love them. This particular pair with the distressing runs big so I had to size down in this pair but I needed my normal size in the pair with no distressing. 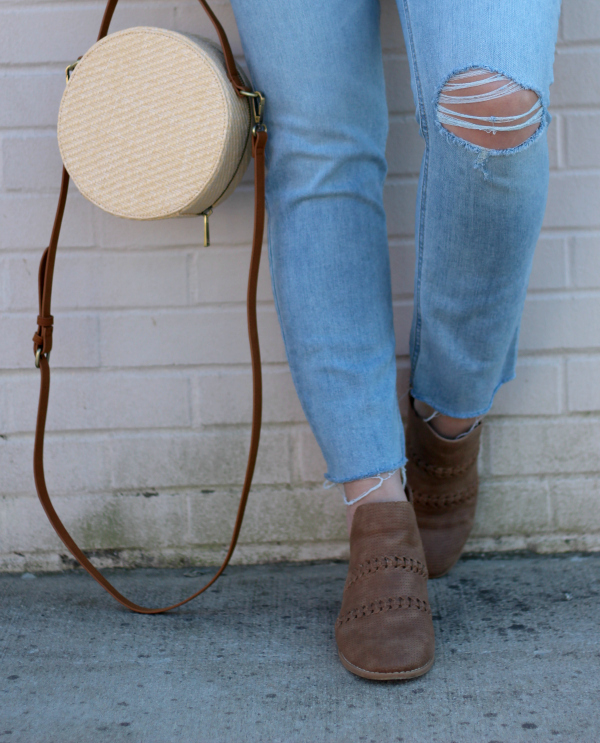 These jeans look great with sandals or heels, too!